THE STORY - After a deadly earthquake destroys his home in Peruvian rainforest, a young bear (Ben Whishaw) makes his way to England in search of a new home. The bear, dubbed "Paddington" for the london train station, finds shelter with the family of Henry (Hugh Bonneville) and Mary Brown (Sally Hawkins). Although Paddington's amazement at urban living soon endears him to the Browns, someone else has her eye on him: Taxidermist Millicent Clyde (Nicole Kidman) has designs on the rare bear and his hide. THE GOOD - A family film with great visuals, wonderful production design and a charming cast. THE BAD - Because it skews older, younger children might not find much to love about this well-made family film. The CGI bear does not fully work on a technical level. ​​"Paddington" was a childhood favorite of mine – there was an animated TV show on UK television in the 1980s that I remember fondly. When I first heard about the live-action film with CGI bear, I felt a little dubious, but fortunately, I was pleasantly surprised by this film. "Paddington" is the story of a young bear who, after an encounter with the explorer Montgomery Clyde, travels from darkest Peru to London, where he is adopted by the Brown family. 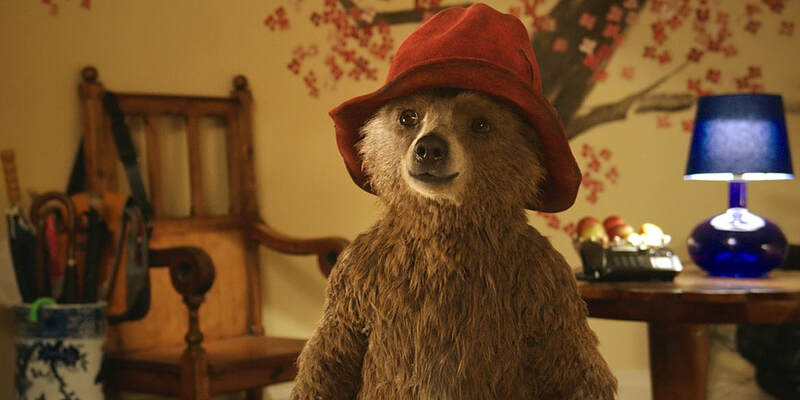 While Mrs. Brown (Sally Hawkins) and the children are delighted, Mr. Brown (Hugh Bonneville) is much more reluctant and not happy about the effect this bear has on his household. Clyde’s daughter Millicent (Nicole Kidman) discovers that the bear is in London and seeks to capture him, so she can complete the work she believes her father failed at (which involves, um, stuffing). She enlists the help of the Brown’s neighbor (Peter Capaldi) in a Mission Impossible-style raid on the Brown’s home. The Brown’s family housekeeper, Mrs. Bird (Julie Walters) becomes involved in the plot to rescue Paddington from the Natural History Museum (a stunning location used to great effect here), which involves distracting the security guard with whiskey. Throw in some cross-dressing from Mr. Brown (as a classic British tea lady) and Paddington taking shelter with the guards of Buckingham Palace – this film could easily be a tourism advert for London and I do believe it may have worked as one. The quality of the acting ensemble is a big part of the charm of this film. Sally Hawkins is, as always, charm personified and Kidman seems to be relishing every moment as the terrifying villain. A very large part of "Paddington’s" success lies with Ben Whishaw’s vocal performance the titular bear. Even adults will be completely swept up into believing the bear is real and this is more to do with the “humanity” Whishaw brings than the quality of the CGI. CGI creations are only successful if the actors around it sell it completely and this is absolutely the case here. Another huge part of the film’s appeal is the production design. London has never looked so colorful and magical (Some may say unrealistic, but this is very much a heightened fantasy version). The Brown’s home could have been designed by Wes Anderson and that is absolutely a compliment. A beautiful blossoming tree ascends the central staircase and the children’s bedrooms have a distinct character. One motif that runs through the film is a Jamaican-style band who help with scene transitions, along with a sampling of the highly changeable British weather. There is an innovative use of a doll’s house and a model train and the set design seamlessly combines with CGI to create movie magic. As well as providing amusement for children (a set-piece involving the bathroom is a particularly funny highlight), "Paddington" is a true family film in the sense that it speaks to adults also. Mr. Brown is portrayed as a hellraiser in his youth, who, as soon as his first child is born, becomes paranoid and over-protective (An extension of his career as a risk-assessor). There is a scene involving the explorer Clyde discussing his refusal to collect a specimen of the bears because of their civilized nature that is better than anything in "The Lost City of Z." It really is a film that can genuinely be enjoyed by all ages. With that said, there are a few reservations. For me, the CGI bear isn’t a total success in its design and execution - the fur and eyes are a little off for me - and it is completely down to Ben Whishaw to make that character work. Because the film does so well at appealing to adults, it does skew a little older in its appeal to children. My 7 and 5-year-olds are not as enamored with "Paddington" as they have been with many other films. At times they found there to be a bit too much talking and got bored. However, children of around 8 and older will find a lot to be entertained by, I’m sure. Particularly with the dark take on the villain, but it may still be a little scary for younger viewers. "Paddington" is the sort of film that makes one proud to be British. A stellar cast, who support the central character magnificently, beautiful sets and locations and an endearing sense of imagination, ingenuity, and eccentricity. It makes complete sense that is from the same director as "Bunny and the Bull" (Which I highly recommend), as it has a similar sense of humor and creativity. Much more care and attention have gone into the visuals of this film than what is generally the case for children’s films – it is an absolute feast for the eyes. It is rare to find such a warm, charming film that will appeal to adults and children alike. A lovely movie that leaves me very much anticipating the sequel.